I've been writing seriously since 1999 and many of my short stories have been published in various genre magazines across the country. My two published books, BLOOD RELATIVE and BLOOD BOND, have receive critical acclaim. John Austin, of WTAN's "Book Talk," said, "I doubt there's a better writer in this genre." My next book for publication is titled, SCENT OF DEATH. I have lived in Glen Cove, New York since 1976 and have raised two wonder girls, Karen and Julie. Julie is a writer and producer for On The Leesh Productions in NYC. Karen is a freelance writer and lives in Oakland CA. 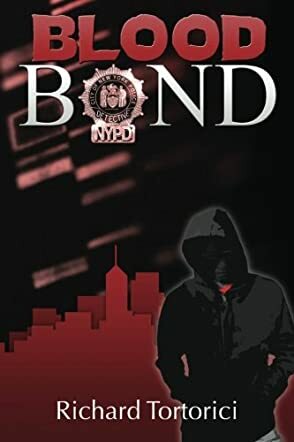 Blood Bond by Richard Tortorici is a vampire story with a twist. Detective Frank Baron is one of the walking dead, aka a Nightwalker. He had specially made glasses, a ski mask and a fedora to protect him from the direct sunlight. Baron was one of the good guys. Stormy witnessed the death of her mentor Glenda; she feared they would come after her next. Stormy was staying with Baron until the Society could find her a new mentor. There was more than one type of Vampire. There were those born to be a vampire and those that were created. Now there was a third, the most dangerous type of all...Erebus. For many years the Daywalkers, aka normal people, did not know about the Nightwalker. When Homeland Security found out, they came up with the bright idea of creating a group of super fighters. They messed with the DNA of a Nightwalker and turned him into a not so nice vampire, Erebus. Erebus believes he is God and vengeance is his. Blood Bond is an entertaining read. It has all the elements I look for in a book: suspense, mystery, thrills, intrigue, danger, car chases, murder and a bit of romance thrown in for good measure. Tortorici is a talented author whose characters are multifaceted. Stormy and Frank worked well together; she had an innocence that made her endearing, and Frank was a courageous hero. The plot has twists and turns that will keep the reader guessing to the very last word. This is not your typical vampire story. I believe this is the first book in a new series, and I look forward to the subsequent volumes.